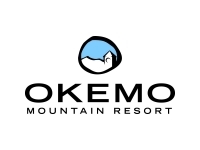 Okemo Mountain Resort, nestled in the south central region of Vermont, offers a wide variety of lodging options. Nothing beats the convenience of slopeside accommodations. Okemo offers eight different properties, all with their own character and charm. The Jackson Gore Village, our newest properties on the mountain, offer the widest variety of on-site amenities. All three properties boast the charm and convenience of a country inn with the convenience of hotel services. Vermont Discount Card bearer is entitled to a 20% discount off the published rack rate. Card must be presented at the front desk upon check-in to receive the discount. Offer will be valid for non holidays only (ask specific properties for their holiday dates) it is not available in combination with any other discounted rates such as Internet rates, group rates, etc. some other restrictions may apply.